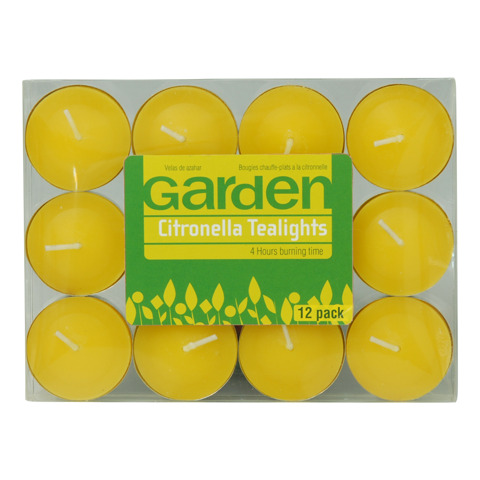 Tealight Citronella 14G 12Pk. 37mm Round. Yellow Wax Alumium Holder. Wax | Citronella. 14G Packaging: PVC Box.